Jared Unzipped: My Top Six Favorite Generation II Pokémon. In April of this year, I featured an article that detailed my top six favorite Generation I Pokémon. We're moving forwards to Generation II with today's article. Below you'll read all about the six pocket monsters from this generation that I appreciate the most. I began Generation II with the Pokémon Gold cartridge on the Nintendo Game Boy. Overall, I was impressed at the time with the new creatures. Let's get this started! 6. 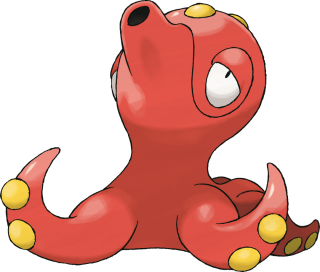 Octillery - Perhaps the most versatile choice on the list is this Water type Pokémon. It has a wide range of attacks at its disposal, so you can easily customize it to your liking. While definitely not a popular choice among most players, I rather like the little octopus monster. If you use the move Focus Energy with an Octillery that has the Sniper ability, then it can really dish out some damage in a battle. 5. Meganium - As always, I typically select the Grass type Pokémon when starting any new game in the series. 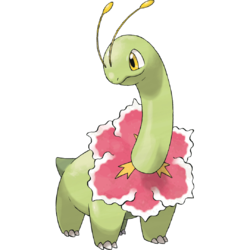 Meganium is the final evolved form of the starter Pokémon Chikorita. It's very sturdy and can sustain a beating, making it a fine choice for defense. Its move set isn't too diverse, but it gets the job done when you need it to. Luckily, Meganium has a large selection of moves which can be learned from various Move Tutors. 4. Noctowl - My preferred flyer from the second generation, Noctowl is a no frills Pokémon that simply works. There's nothing flashy about it. Most players scoff at the idea of even using Noctowl, but not I. It carried me through many battles when I first completed Pokémon Gold. 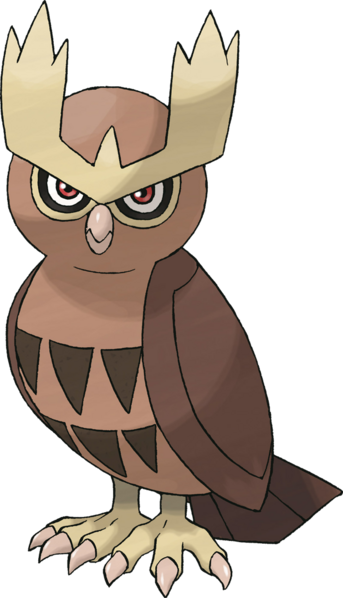 Both of Noctowl's abilities (Insomnia and Keen Eye) are highly advantageous. Even better is its hidden ability (Tinted Lens), which doubles the power of "Not Very Effective" moves. Though it may be a common Normal / Flying type, it has access to some keen Psychic type moves. Don't sleep on Noctowl -- it's a keeper! 3. 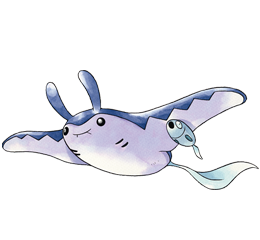 Mantine - A well-rounded Water / Flying type with a very high Special Defense rating, Mantine is indispensable when faced with a non-physical attacker. I like Mantine simply because it's durable when employed with the proper strategy. Plus, you can teach Mantine the moves Surf, Dive or Waterfall, all of which are great HM's which can also deal out substantial damage. 2. Crobat - One of my favorite Poison type Pokémon, Crobat is fast and lethal. With solid offensive and defensive ratings all around, it can easily become a powerful weapon against any opponent. I like to stack it with the move combination of Toxic and Venoshock, which can take down almost anything if used correctly. 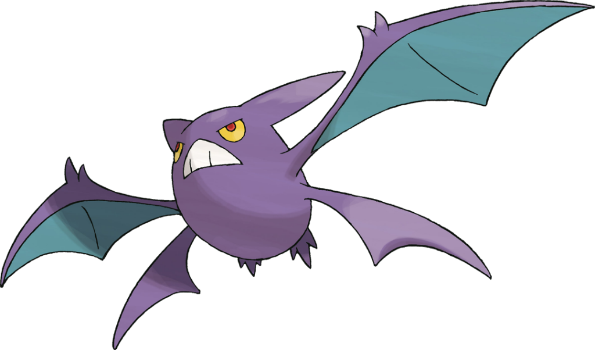 Since it's a dual type Poison / Flying, don't be afraid to teach it the HM move Fly, which earns Crobat the STAB damage bonus. 1. Furret - At this point, you're probably scratching your head. Why Furret? It's a common Normal type Pokémon with no real advantages or disadvantages against other types except Fighting. Furret's base stats are not all that impressive, either. I'll tell you why -- because no one suspects Furret. It's non-threatening nature makes it a great secret weapon if trained properly. Teach it moves like Retaliate, Me First or Hyper Beam for maximum damage. Even better, keep Furret happy and you can employ a move like Return, which increases in damage the higher its Happiness rating is. 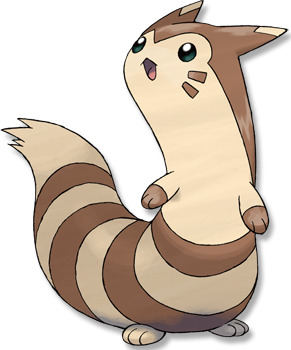 All that being said, Furret won more Generation II battles for me when things were at their most grim. I love the little guy!